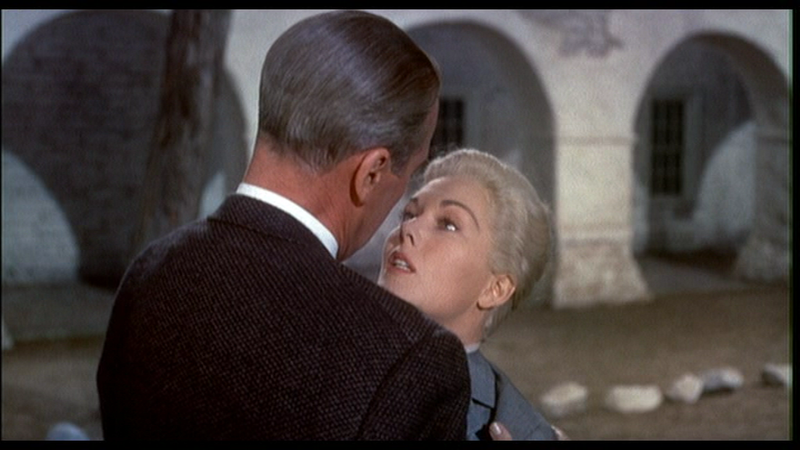 I saw VERTIGO for the first time when it was released in the US in 1958, when I was 21. It had an immediate impact on me and lingered almost dreamlike in my memory for years before it was finally re-released years later in VHS and then DVD formats. The gauzy color cinematography, San Francisco location and Bernard Hermann’s hauntingly appropriate soundtrack together with the performances by Stewart and Novak combined to do what no other film has before or since, find a place in my recollections usually reserved for only the deepest feelings about the experiences of life itself. Maybe something like an image of an unforgettable sunset, beautiful woman or haunting melody that one knows will always be there in reverie until the end. There can be no more than one or two films in one’s lifetime capable of such an effect. I have not seen another to this time. The contemporary review (1959)was fair and there may be some legitimate questions about the integrity of the plot. However, looked upon as a work of art there is only one word that fits. Masterpiece. I have viewed it a numer of times in recent years and only come to be more convinced that my first impression was justified. I don’t agree at all that Vertigo is a masterpiece. I saw it yesterday for the first time at the National Film Theatre, and had high hopes as it had been declared the best film ever. I agree, on the whole, with Penelope Houston’s review and with Peter Matthews (Sight and Sound September 2012) before he had his “epiphany”. With a truly great film – for example many of those directed by Fellini, Bergman or Tarkovsky – plot is not important but in a film that relies on suspense, such as this one, it matters a lot. We are asked to believe that Gavin Elster, who we have only seen for a few minutes and don’t care about, ushered his mad wife, who we have never seen at all and care about even less, up the stairs of a tower, wearing the same grey suit as her double, and threw her off the tower at the exact moment Scottie (James Stewart) and Madeleine/ Judy ( Kim Novak) came charging up the stairs. All this in the days before mobile phones. At that point, speaking as a novelist, the film lost my sympathy. I was already bored with the interminable shots of James Stewart in a movie car driving around San Francisco travelogues. He is probably the most charming actor ever, with irresistible blue eyes and an air of sincerity that would disarm Attila the Hun, and his performance makes the film memorable. Kim Novak is so bland and dumb that I found it impossible to be interested in her survival as she seemed half-dead already. I kept hoping James Stewart would turn to the bright and lively Midge (Barbara Bel Geddes). The soundtrack has been described as Wagnerian, but although I admire the music of Bernard Herrmann I can’t hear any trace of Wagner in it. The camera work, which is so often what makes Hitchcock’s films powerful, is unremarkable and repetitive. Thank you very much for your comment Jack, appreciated. 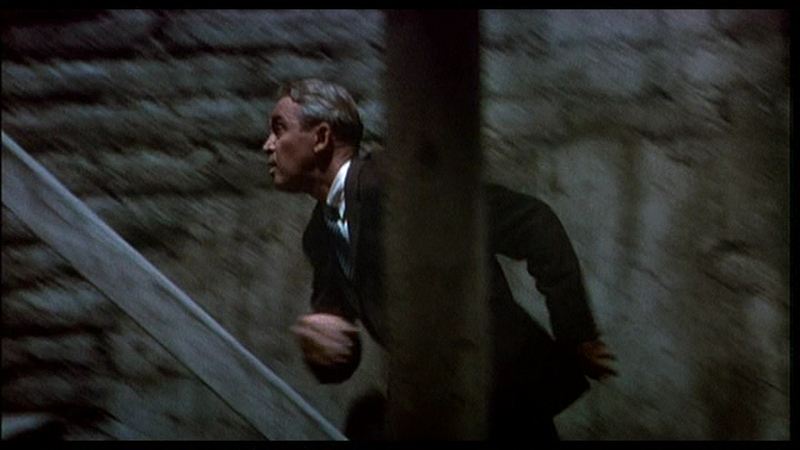 I am really interested in your having seen Vertigo on release – you have a pretty unique perspective. I have a few questions, if you don’t mind. 1) What was the quality of the image like? 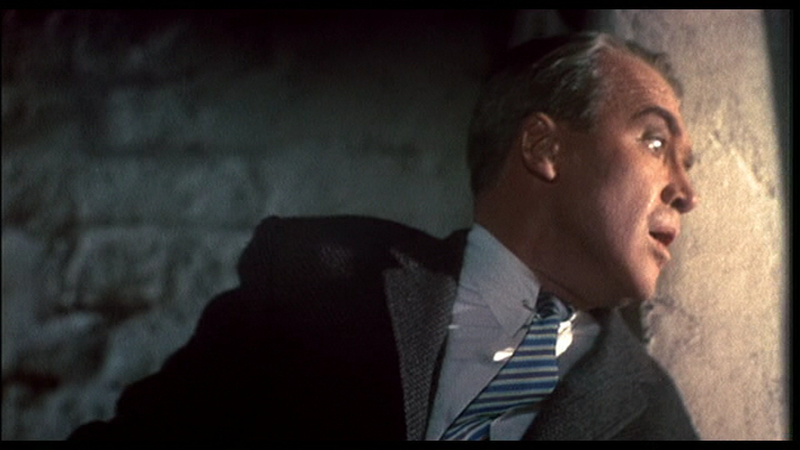 Of course the restoration on Vertigo means that prints of the film look pretty spectacular nowadays. Does the restoration look the way you remember seeing it – in the tone, in the colours – or are there any differences? How impressive was it to watch VistaVision? 2) You talk about how the film lingered dreamlike after you saw it. Of course the nature of film exhibition in those days meant you could only really see a film once. (Is this correct? Or would films ever return or play for a considerable amount of time?) In my experience Vertigo is really suitable to multiple viewings and I think it is through repeated VHS and DVD viewings that modern-day Vertigo fans are born. It seems as though you did not require those supplementary viewings; did it get under your skin immediately, or is it a film that you couldn’t get out of your mind as time passed? 3) How did this film fit into your perception of James Stewart at the time, in relation to the other films of his that you had seen and your understanding of him as a personality? Also, how big of a star was Kim Novak at the time you saw Vertigo, and did she have a clear impact when you saw the film? I will try answering your questions as best as possible considering the time that has passed since 1958. I am now 71 and considered an old man by most (but not by myself of course). I first saw it at a local neighborhood theatre which means that it was probably at least a few weeks since the Boston opening “downtown” as we used to call it. The image quality was pretty good. I recall the gauzy almost ghostly effect that I believe Hitchcock intentionally sought. Vista Vision was a Hollywood gimmick to get people away from their TVs and back into the theatres. It was good but not spectacular, in my opinion anyway. In those days you only got one or two shots at a film. First, the opening run “downtown” and then the suburbs shortly afterwards. After 6 months or so there might be a second run in the ‘burbs at a reduced admission price if you were lucky. The film did get under my skin as you put it during the first viewing. Very few films have had that effect on me. In spite of not having the advantage of multiple viewings back then it did linger on the “back burner” as they say in my memory for decades thereafter. I always had a favorable image of Stewart who had been around as long as I could remember back then. Like a star athlete he was a pro who got the job done, especially if he was under the direction of a master like Hitchcock. Prior to this film my best recollection of him was probably his role as Glenn Miller in THE GLENN MILLER STORY a few years earlier. I was then and still am a fan of “the big bands” of the 1930s-40s. Kim Novak was already a star by that time. PICNIC had put here over the top a few years earlier. PICNIC was a film I also enjoyed at the time so I had a favorable opinion of Kim probably due a good deal to that. Here role in PAL JOEY with Frank Sinatra and Rita Hayworth also starring, was very good. I was also always a big Sinatra fan, especially back in the late 50s early 60s and even remain so today. Well, I hope the above was helpful. I’ve booked your site for future reference and will keep an eye on it. I love The Glenn Miller Story; how about that scene where Stewart heads to an underground jazz club only to find Louis Armstrong on the stage? I also like the fact that in the early scenes he is playing a character far younger than he Stewart actually was, but there is a pleasure to be had in still believing it. Pal Joey is also one of my favourites (quite underrated I think). Sinatra is really superb in that film and the scenes of him singing on stage, as well as his confident New York swagger, come straight out that archetypal Sinatra persona that we come to expect of him. Since you’re a fan please look out for a post that will be going up tomorrow about one of Sinatra’s great films. Thank you for your comments, they were very helpful. I would be interested in other titles or experiences that stood out for you during that time. Picnic is sitting on my shelf; I will have to finally get round to watching it now. Louis Armstrong remains a legendary innovative jazz giant rivaled only, in my opinion, by Bix Beiderbecke. I will have to re-check that scene out the next time I get to watch the movie. The Sinatra of the late 1950s was a kind of role model for young people who wanted to be hip and liked jazz and swing better than rock n’ roll, more suited to the mostly tone deaf majority who responded better to a primitive beat than the more complicated patterns of decent music. Not that there was anything wrong with that. Don’t want to be a snob about good taste. I don’t think Frank would like that either. I’ll try getting to your request at a later date after giving a little thought to the subject era’s offerings. Good to know that some young people of today are trying to make sense out of what was a critical period for films and entertainment. Hey. I no that the last comment was posted in 2008, but i hope your are still able to reply. I am an A-level student studding Film Studies. An asspect of my exam in a close study film in which i have chossen Vertigo. I have discoverd that on its origional release it blunderd at the box office and was faced with negitive reviews. Yet to be able to find these reviews are being some what difficult. In reading the article that you have posted in seems that an aspect of why if was faced with bad reviews was the audiance becoming some what bored of Hitchcocks film style, and sore Vertigo is repeating its effect. Yet how come today it is known as one of the greats. Viewing for the first time i enjoyed it i was able to see it from a critical approuch and there for i feel i have more resept for it. Where as my boyfriend did not have the same oppinion. He was very bored by it and did not see it as a thriller. As is he use to the mainstreem Hollywood thriller Hitchcocks Vertigo did not meet his expectations. So through the critical reviews it shoot up into becoming one of the greates becuase the criticis look beyond the motion pictures. Can i ask for your oppinion on why you feel it did so poorley on its origional release and why it didnt capture the attention of its audiance.